Making it easier to pay for parking helps people avoid parking tickets! No coins? No credit cards? No problem! 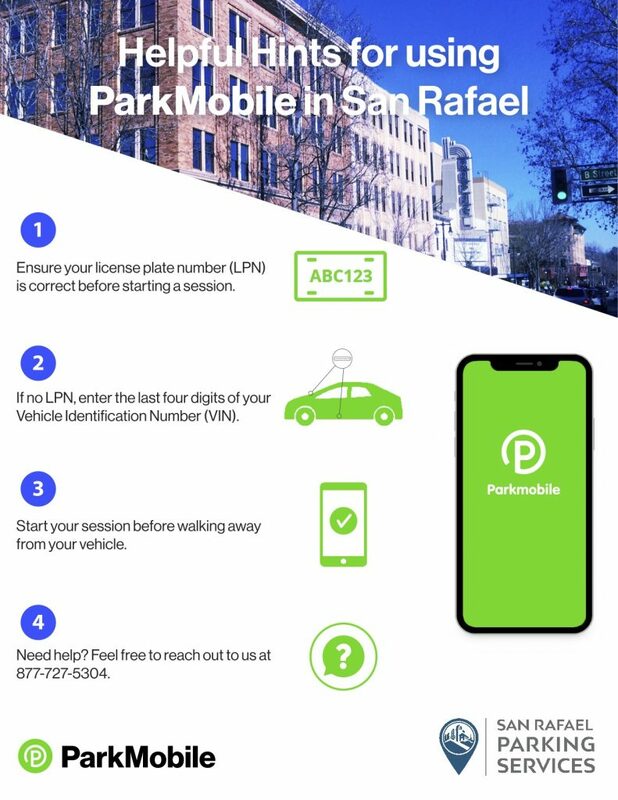 With ParkMobile , you may pay for parking and skip using the meters/machines, add time without returning to the meter (subject to time limit restrictions), receive a text notification reminder when the time is almost up, and download receipts online. ParkMobile is available at most Downtown parking meters and surface lots. Look for the green ParkMobile decal...you will need the ZONE #. Park: Look for the green decal listing the zone #. Pay: Use the app, mobile website or call 1-877-727-5718 and enter the zone # listed on the green sign. Check: Make sure your plate info is correct & that you paid for the correct car! Go: Head to your Downtown destination, worry-free, since you can always extend your parking session! Meter display will not change (e.g., if the meter was expired, it will still flash “expired” after ParkMobile payment). Parking Enforcement Officers see payments on their wireless handheld devices & search by license plate for payments. If the correct plate is not paid or if the plate info is entered into the app wrong - you could receive a citation. Questions? See our FAQs page.